The Downy Woodpecker is the smallest of Washington’s woodpeckers. Its plumage is a mix of black and white (but see below.) Its wings, lower back, and tail are black with white spots; its upper back and outer tail feathers are white. Its underside is white, and its head is marked with wide alternating black and white stripes. Males have a red spot at the backs of their heads which females lack. 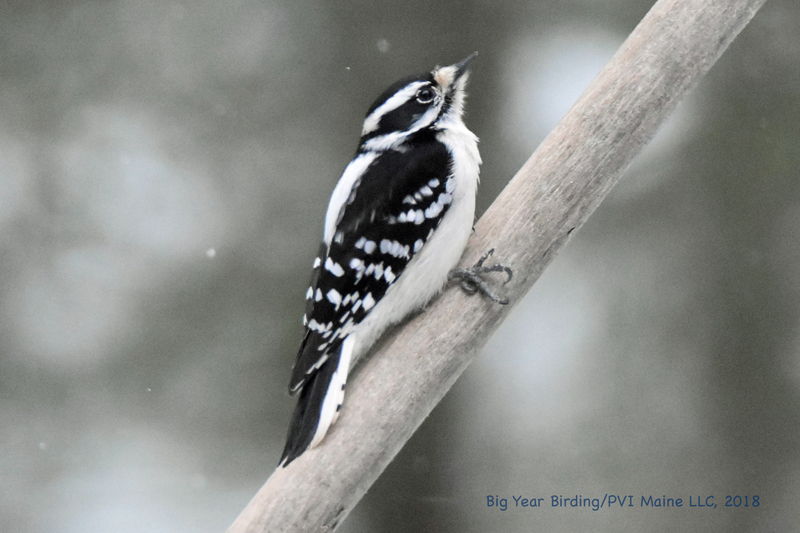 Downy Woodpeckers closely resemble the larger Hairy Woodpeckers, but Downys have relatively smaller bills, which give their heads a rounder, ‘cuter’ shape.